Throughout the ages, people have flocked to geothermal springs to reap the benefits of their warm, restorative, mineral-rich waters. Now, with our renewed interest in healthy, natural activities, the original spa encounter is making a comeback. When planning your next trip, check out geothermal pools for built-in, healthful relaxation breaks. To pique your interest, we’ve highlighted a few hot spring experiences located on islands around the globe, each with its own unique attributes. 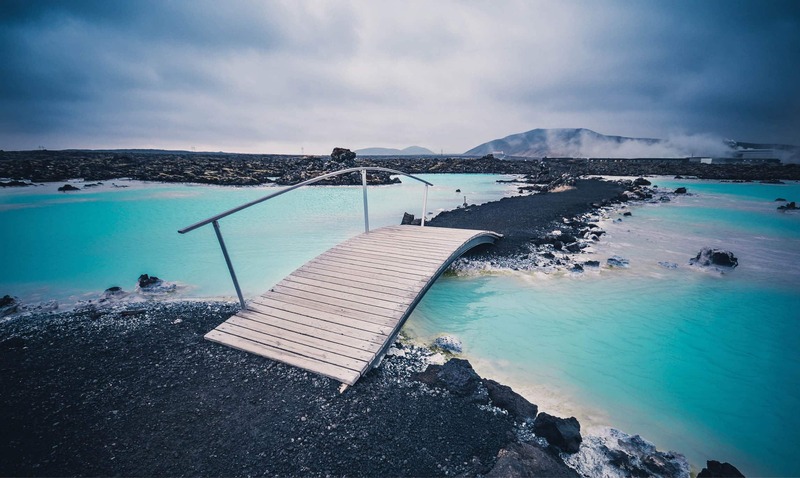 Part of the magic of Iceland is the geothermal pools found all over the island. The Blue Lagoon, the most famous, renews itself every 40 hours with waters that originate over a mile below the surface. The lagoon gets its brilliant blue color from silica in the water that reflects sunlight (the water itself is clear). A pampering experience at the lagoon includes luxury spa treatments (the in-water massage is divine) and access to an executive lounge with a fireplace, stunning views, its own outdoor deck, private showers, and complimentary skin care products. Want a more low-key thermal pool setting? Gamla Laugin (translated as “the old swimming pool”), also known as “the secret lagoon,” sits next to a large flowing river and small geysers. People first started to swim in this geothermal pool in 1891. It includes a rather basic yet comfortable building with changing rooms, beverages and beer, and a casual snack bar. You’re never far from a naturally-heated soak in New Zealand. Hot Water Beach is one of the country’s most unique thermal pool experiences. Naturally heated mineral water bubbles up from deep within the earth to emerge through golden sand just a few yards from the ocean. When the tide is low, you can dig your own spa pool in the sand near the rocks at the southern end of the beach. Spades and shovels for digging are available for rent in local cafés. 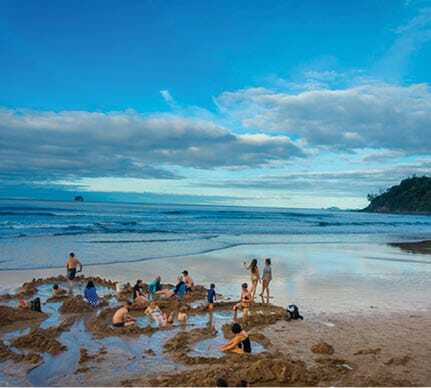 Lost Spring, also located on the Coromandel Peninsula, offers a picturesque soak experience with hand-sculpted pools and soothing waterfalls framed by native forest. A place of tranquility, Lost Spring is a great place to recharge, relax, and ponder life. Make a day of it and enjoy delicious cuisine with amazing views, and choose from a variety of beauty and relaxation treatments in the Polynesia-style day spa. With more than 3,000 hot springs (called onsens) throughout Japan, you could say the country is the queen of the thermal spring world, with each region having its own legendary onsens—and it’s impossible to mention them all. Oedo Onsen Monogatari, located on the artificial island of Odaiba out in Tokyo Bay, is a giant super-onsen modelled on an Edo period town. With a huge variety of indoor and outdoor tubs, restaurants, relaxation rooms, spas, and shops, you can easily spend a whole day at this one-of-a-kind, theme park-like onsen. 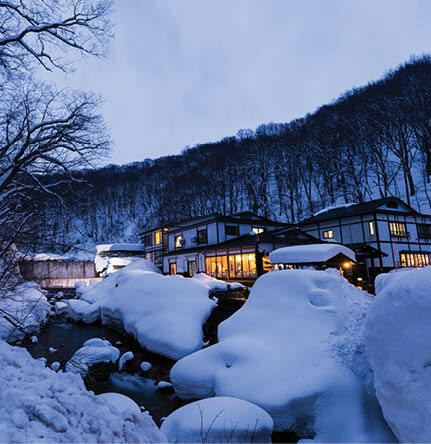 Interested in a more authentic onsen retreat? Konansou Ryokan (a ryokan is a kind of traditional inn) carries on the heritage of age-old Japanese culture. After soaking in the hot spring, change into a yukata (casual kimono), enjoy top level Japanese cuisine, and relax in a uniquely Japanese room complete with tatami mats. Many rooms, as well as the roof terrace above the 8th floor, have a view of Mount Fuji and Lake Kawaguchi. If privacy is what you desire, reserve a hotel room with a private onsen tub and in-room dining in the evening. There are plenty of upscale hot springs, spas, and resorts to choose from throughout the United States, as well as thermal pools among natural settings in the great outdoors. If you’re up for an unspoiled wilderness adventure, Goddard Hot Springs, located about 16 miles south of Sitka on Baranof Island, is as real as they get. Goddard—one of the first natural springs discovered in Alaska—is the definition of remote and rustic, and can be accessed by boat or floatplane. There are two modern cedar bathhouses on-site with open shelters over the hot tubs. Bring water and a snack, and don’t expect any frills. The area has outhouses (we meant it when we said rustic), and boardwalks provide easy walking. Hot springs don’t provide the kind of miracle cures our ancestors were searching for, but a thermal pool soak can boost blood circulation, stress reduction, and pain relief. 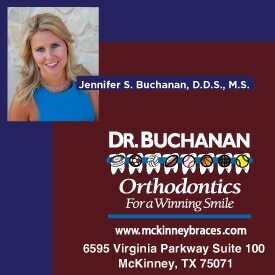 It has even been suggested that certain minerals in the water may help build your body’s immune system.